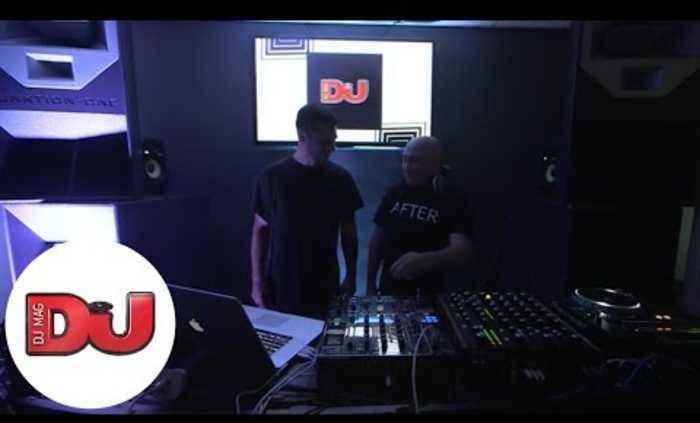 Subscribe to DJ Mag TV: http://bit.ly/Oduqwo About Danny Tenaglia: The momentum started building in early '70s New York, when a barely 10-year-old Danny first got the feel of vinyl in his hands. Enthralled by the music of artists like The Trammps, Marvin Gaye, African Hugh Masekela, and Giorgio Moroder, he started to collect records. In 1979 he discovered legendary nightclub Paradise Garage, where DJ Larry Levan's rich, genre-less blend of music seemed to mirror his own "no boundaries" policy. Find out more about Danny here: https://www.facebook.com/DannyTenaglia?fref=ts DJ W!LD’s rise to prominence was no overnight phenomenon. Without hype or fanfare, he has grown from hero of the Parisian underground to resident at some of the world’s most acclaimed clubs, with an expansive discography backing up his formidable DJing skills. Born in Dijon, he grew up under the heady influence of the formative hip-hop movement, taking his name from the nascent genre’s defining film, Wild Style, before discovering electronic dance music and finding an early idol in Laurent Garnier. Having caught the DJing bug, he moved to Paris in 1996 to further his skills, immerse himself in the scene and continue his electronic education. He soon found himself playing at landmark clubs like Rex, Palace and Queen and making his first movements into the world of production. During the French Touch explosion of the 1990s, he focused his energies on the Parisian scene rather than trying to grab some of the international limelight, expanding his horizons overseas once the hype had died down. This period of progression saw him play at New York’s legendary Twilo, tour Brazil and bag a residency at Brussels’ legendary techno heaven Fuse. His production career began to blossom around the turn of the millenium, an early collaboration with fellow Frenchman Chris Carrier paving the way for an enduring relationship that would see them set up Catwash Records together in 2005. Since he began making music, his productions have graced the likes of Robsoul, OFF Recordings, One Records, RebelLION, VIVa Music, Hell Yeah!, Love Letters From Oslo, Adult Only, RAL and Soweso, with his newer imprint W serving as a home for much of his material in recent years. He also forged strong links with the fashion world during the nineties and noughties, providing music for catwalk shows by the likes of Vivienne Westwood and Thierry Mugler. As his stock in the production world rose, so too did his status as a DJ, with Circoloco snapping him up as DC10 resident in 2009 and Sven Väth inviting him to join the Cocoon family not long after. Sonar, Fabric and Panoramabar have been just a few of the other highlights from his hectic touring schedule. “It’s difficult to say where I fit into electronic music right now, but my roots are definitely hip-hop, disco, Chicago and Detroit techno and house” he says. “But then I discovered so many other kinds of music like West Coast house, English and German styles, that I integrated all those to become what I am and to do this kind of sound. It’s a fusion of house, acid, techno, disco and deepness…” It’s this combination of his heritage and a hunger to continue soaking up new influences that characterises his musical approach, blurring the lines between the past and present to create something truly timeless. 2014 looks to be DJ W!lD’s busiest year yet, with two albums on the way poised to show off his ever-increasing diversity - one on a house tip, the other a downtempo project. Following the success of his huge Rendez-vous Love EP on 2020 Vision last year, he’s set to release another two EPs with the legendary label, with more EPs coming on his sub-label W and remixes for Michael McLardy and Santé’s Avotre imprint to boot. Catwash will also be keeping him busy, with a schedule featuring releases from L’N’F, Gulivert, WLF Maxi and Lula Circus, two albums and two compilations.